Get some free food with this offer! 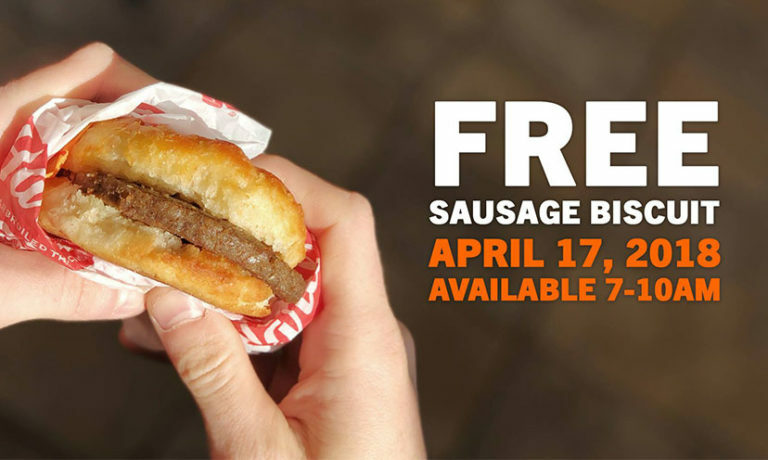 On April 17 from 7 a.m. to 10 a.m., you can get a free sausage biscuit at Hardee’s! Just head to your local Hardee’s and mention “Made from Scratch” to get your free biscuit. Be sure to mark this on your calendar!